Just beyond the westbound off-ramp, turn right onto Forest Road 4832, signed for "Gold Creek" and "4832"
Proceed 0.40 miles/0.60 km and turn left into the parking lot, signed "Mt. Margaret Tr. No. 1332 Parking Area"
To reach the trailhead, proceed on foot up Forest Road 4934 (walk left out of the parking lot entrance, not down the gated gravel road at the far end of the lot). Approximately 0.10 miles/0.16 km past the lot's entrance, take the left fork and proceed 0.60 miles/1.00 km to the trailhead on the left. The trail to Margaret Lake, Twin Lakes, and Lake Lillian, each uniquely exquisite, begins inauspiciously enough on logging roads up a recently clear-cut hillside and continues through varied terrain, including mature forest, natural clearings affording views of the rugged Rampart and Box ridges, lush bogs filled with summer wildflowers, and fiery autumn foliage. Beyond the side trail to Margaret Lake, the trail is not well maintained and is sometimes narrow or non-existent for short distances, yet can always be discerned. Characteristic of Rampart Ridge and its environs, mosquitoes are legion in mid-summer, likely born from the shallow lakelets, ponds, and bogs that spatter the landscape. Brave the mosquitoes to admire summer’s verdure, or, wait until cooler days to enjoy Midas hues and autumn mushrooms unmolested. The round-trip distance to Lake Lillian, including the short side trip to Margaret Lake, is approximately 11.00 miles/17.70 km. The trailhead does not lead directly from the parking lot, but is reached by foot on narrow logging roads beyond the lot. Per the directions above, hike up Forest Road 4934 past the parking lot and keep watch for small, easily missed signs marking the route at the fork and trailhead. Twin Lakes – Lake Lillian Trail, October 04, 2015. 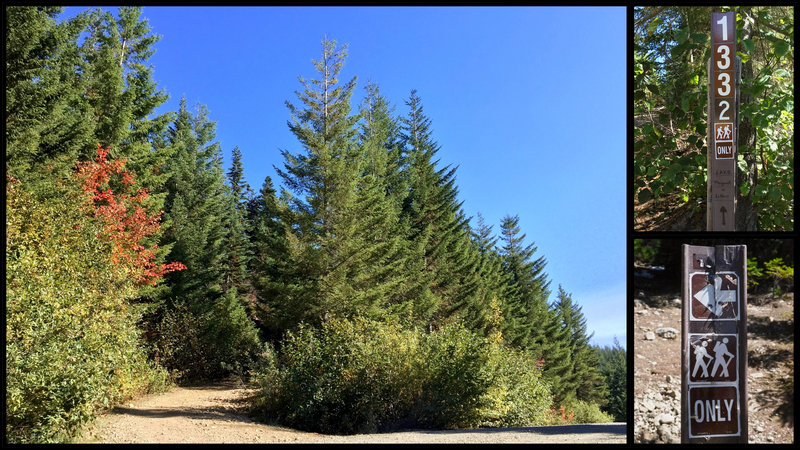 For its first 1.70 miles/2.70 km, the trail climbs steeply through the new growth of a recent clear-cut, which affords increasingly expansive views. Keechelus Lake, bounded on its western shore by Mount Catherine and Mount Hyak, fills the valley below. Although a natural lake, its capacity is regulated by a dam to provide irrigation for agriculture in the Yakima Valley to the east. Twin Lakes – Lake Lillian Trail, August 03, 2013. Just before the trail ducks under cover of mature woodland, Mt. Rainier appears atop the southern horizon beyond successive mountain folds. Twin Lakes – Lake Lillian Trail, October 04, 2015. At approximately 2.20 miles/3.50 km from the trailhead, a signed side trail leads right approximately 1.00 mile/1.60 km to Margaret Lake. The side trail offers peekaboo views of Hibox Peak and Box Ridge across the eastern flank of Mount Margaret. Margaret Lake Trail, September 21, 2014. Just before the trail reaches Margaret Lake, it crosses a boggy, golden meadow where lies the spring-fed “Lake” Yvonne amid a sharply steepled forest. Margaret Lake Trail, September 21, 2014. The first glimpse of Margaret Lake gives away its brilliant emerald tint, most apparent on a cloud-lit day. Margaret Lake Trail, August 03, 2013. On a cloudless day, Margaret Lake’s looking glass faithfully portrays the woodland throng that teems its shores. Margaret Lake Trail, September 21, 2014. Mount Margaret rises above Margaret Lake’s northern shore. Margaret Lake Trail, September 21, 2014. The Twin Lakes – Lake Lillian Trail skirts Mount Margaret’s western flank (here, on the right) and, just before descending to Twin Lakes, affords a view of Rampart Ridge stretching alongside Mount Margaret into the northern distance. Lake Lillian lies in the cleft between Rampart Ridge and Mount Margaret. Twin Lakes – Lake Lillian Trail, August 03, 2013. White rhododendrons, also known as Cascade azaleas (Rhododendron albiflorum) thrive in the boggy lakeside woodlands on Mount Margaret’s slopes. Twin Lakes – Lake Lillian Trail, August 03, 2013. High elevation results in a vivid display of fall foliage across Mount Margaret and Rampart Ridge, brighter than that of the same species at lower elevations. After luscious fruits come lively shaded leaves when, in autumn, drifts of blueberries (Vaccinium sp.) set the mountainsides ablaze (left and lower center). Vine maples (Acer circinatum) torch the woodland with parti-colored foliage ranging from gold to vermilion (top, center, and center right). Here and there, mountain ashes (Sorbus sp.) add their own feathery, molten accents (lower right). Twin Lakes – Lake Lillian Trail, October 04, 2015 and October 08, 2017. 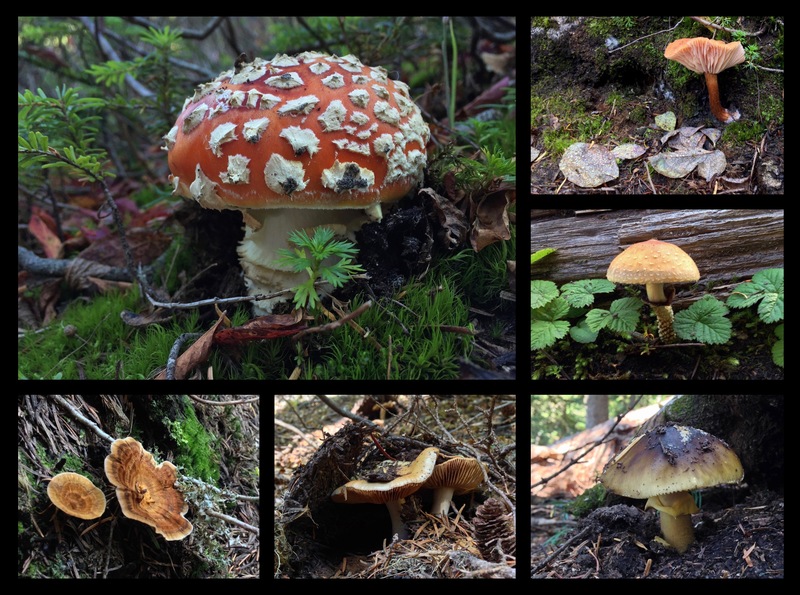 Also in autumn, keep watch for the many varied mushrooms that garnish the slopes of Mount Margaret along both the Twin Lakes – Lake Lillian Trail and Margaret Lake Trail. September 21, 2014 and October 04, 2015. Boggy “lawns” surround the Twin Lakes. As beautiful as they are, Twin “Lakes” is somewhat of a misnomer, as they are more shallow ponds than lakes. Twin Lakes – Lake Lillian Trail, August 03, 2013. A grove-topped barge appears afloat the tranquil waters of Twin Lakes. Twin Lakes – Lake Lillian Trail, October 04, 2015. Around the corner from Twin Lakes, the trail skirts a lush, boggy glade surrounding another pond. Twin Lakes – Lake Lillian Trail, August 03, 2013. In early summer, lush greenery carpets the wayside bogs around Twin Lakes. Twin Lakes – Lake Lillian Trail, August 03, 2013. The lakeland moisture nurtures a variety of wildflowers. In the top left, twin Columbia lilies (Lilium columbianum) entwine after a rainshower. Along the top right, sweetly scented blooms of subalpine spirea (Spiraea splendens) dangle at nose-level from a steeply pitched meadow. In the lower left, Jacob’s ladder (likely the low, or, showy Jacob’s ladder, Polemonium californicum), imaginatively named for the layered, stair-stepped pattern of its leaves, blooms demurely at the woodland’s edge. In the lower center, an aster (likely an alpine leafybract aster, Symphyotrichum foliaceum) clings to a lakeside ledge. In the lower right, white marsh marigolds (Caltha leptosepala) brighten a lakeside bog. Twin Lakes – Lake Lillian Trail, August 13, 2013. In striking contrast with the verdant bogs about the Twin Lakes, the trail skirts a great talus slope on its steep ascent to Lake Lillian, where the crumbling remnants of mountaintops fan far below their former heights. Twin Lakes – Lake Lillian Trail, October 04, 2015. Just before reaching Lake Lillian, a glance over the ridge to the left reveals a peekaboo view of Lake Laura far below, where Lake Lillian’s waters next spill before continuing their journey as Rocky Run Creek. Twin Lakes – Lake Lillian Trail, October 04, 2015. At last, Lake Lillian and its consort, Rampart Ridge, each holding the other in form and gaze. The trail ends at the water’s edge; the lake’s steep, rocky walls render further exploration difficult. Twin Lakes – Lake Lillian Trail, August 03, 2013.